The Professional Development & Resource Center (PD&RC) Pride is a monthly email communication celebrating the work facilitated by BT BOCES PD&RC to advance teaching and learning. This will also be an opportunity to highlight resources available for loan as well as upcoming regional events. We hope you find this communication helpful and welcome your feedback. 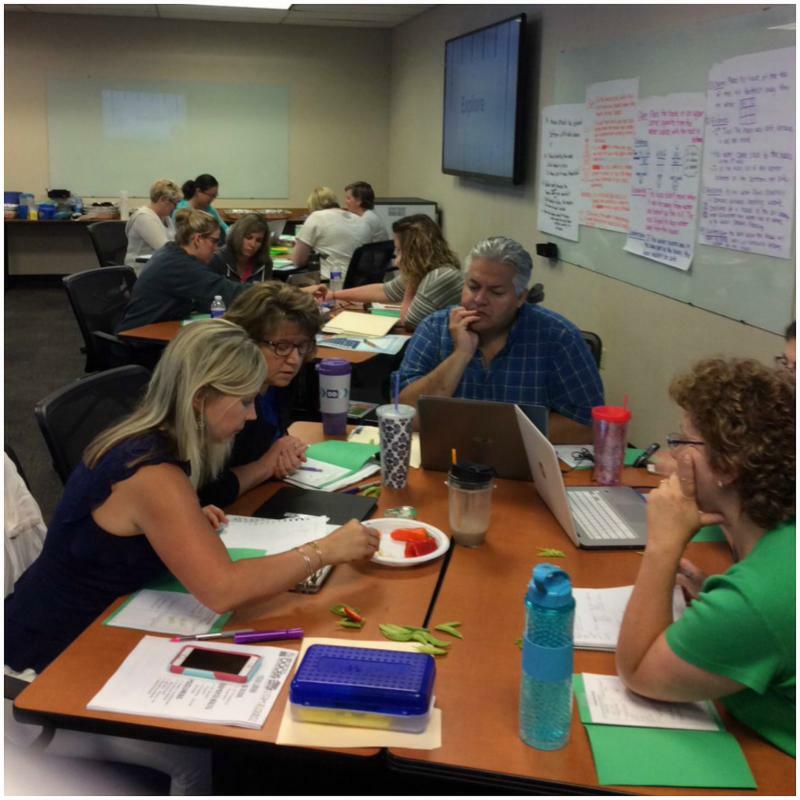 Guided by Regional Science PD Specialist, Maureen Smith, sixty-five teachers from across the Broome-Tioga BOCES Region spent a part of their summer vacation getting acquainted with the new NYS Science Learning Standards (NYSSLS) and creating lessons aligned to these new standards. 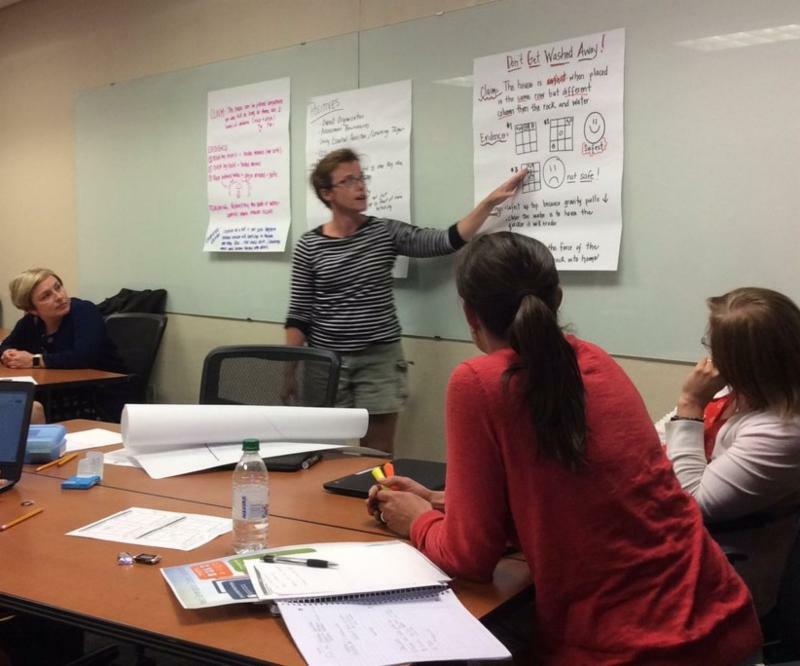 The participants also experienced hands-on activities that included all three dimensions of the new standards - cross-cutting concepts, disciplinary core ideas, and science and engineering practices. 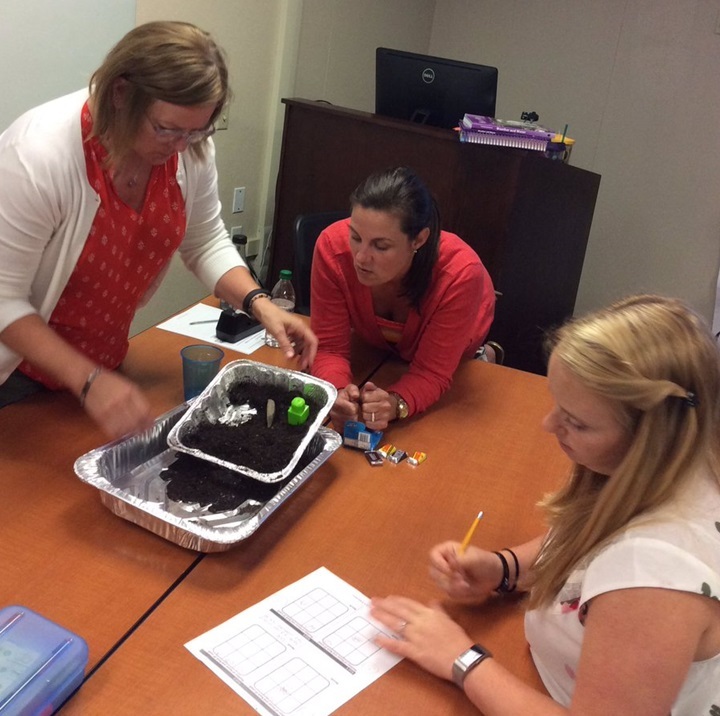 The teachers had an opportunity to problem-solve, collaborate, and critically think about seeds and their properties, shadows and the Earth’s rotation, and how erosion impacts human life. 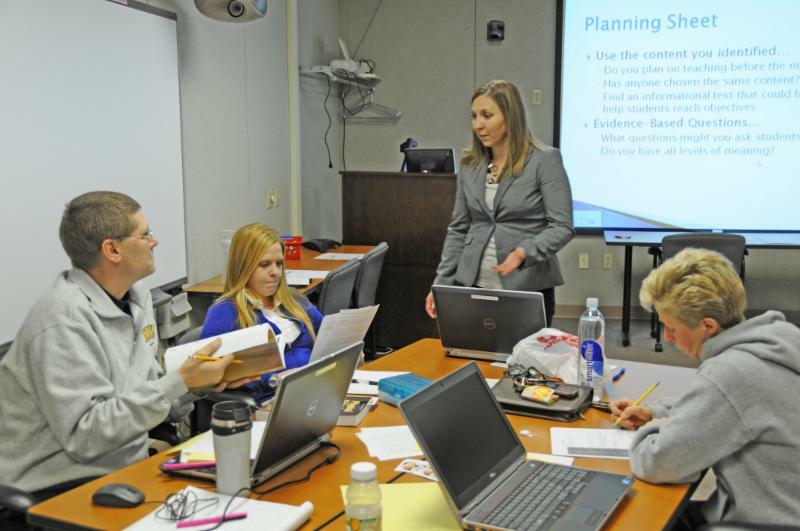 After experiencing these inquiry-based lessons, participants worked collaboratively with their colleagues to develop lessons and units of study for their students aligned to the new standards. The participants left their two-day sessions feeling excited about science and much more confident in their understanding of the standards. There will be continuing professional development for grades 3, 5, and 6 teachers throughout the school year to expand their understanding and application of the NYSSLS, and to reflect on their instruction. On July 12th and 13th administrators and teacher leaders in our region met to think together and learn about how to close reading achievement gaps for students in the elementary grades who struggle with reading. These sessions were facilitated by Kathryn Bailey and JoAnn Hawley (BT BOCES literacy team), Cathleen Stewart and Jennifer Blackman (BT BOCES special education specialists), and Dr. Erin Washburn of Binghamton University’s Graduate School of Education. Participants learned about brain-based research that illuminates how the brain reads, how literacy is acquired, distinctions in neural activity of fluent vs. disfluent readers, and implications for assessment and instruction. Connected to research in profiles of struggling readers, ideas were shared for targeted assessment to identify specific instructional points for students who struggle. Finally, some broad “systems thinking” considerations were raised, to help leaders think about conversations and communication that need to take place on-site in schools in order to truly accelerate the progress of students who are behind in their reading achievement. We look forward to continuing the learning and conversation in several follow-up sessions throughout the 2017-2018 school year! 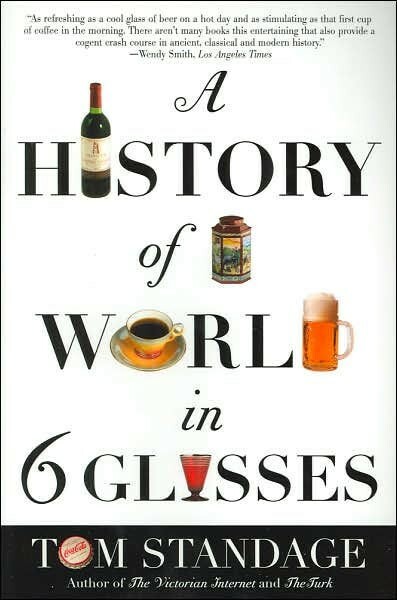 The Media Library recently purchased a classroom set of the title A History of the World in 6 Glasses by Tom Standage. This title was recommended by Kelly Haskell at Chenango Valley as an excellent summer reading selection for high school students. The Media Library is open all summer, and book sets can be borrowed in any amount (from one book to the entire set); contact Nicole Laura if you’d like to borrow this, or any other title from our collection. VIEW and REGISTER for 2017-2018 Fall/Winter/Spring sessions HERE !